moc.ssoHotraBnull@yrneH Henry A. Hoss graduated from Columbia Military Academy and from Tennessee Technological University with a major in accounting. After graduation, he served three years in the United States Marine Corp as a Supply-Fiscal Officer, obtaining the rank of Captain. On completion of his active military service, Mr. Hoss returned to Nashville, TN to work for an international accounting firm and earned his certificate as a Certified Public Accountant. Mr. Hoss’ long-term business career serving clients continued when he worked for a local CPA firm in Chattanooga, TN. In 1982, Henry A. Hoss & Company, CPA’s opened for business. In November 1993, his firm merged with Michael Barto & Company to form Barto, Hoss & Company, P.C. Both CPA Firms were similar in providing bookkeeping, auditing, and tax return preparation and compliance services to both individuals and businesses. Mr. Hoss’ career includes industries such as non-profits, municipalities, utilities, manufacturing, retail, fuel distributorships and professional groups such as law firms and medical groups. He has worked with business start-ups and acquisitions, as well as negotiated loan agreements. 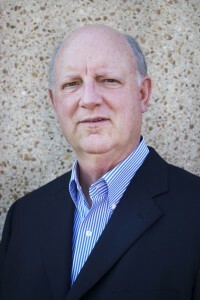 He has served as accountant for the debtor in Chapter 11 bankruptcy cases, expert witness in business valuation, consultant in dispute resolution matters and divorce litigation and appointed by the Chancery Court of Hamilton County to be conservator to individuals. In addition to tax preparation and compliance, he also represents individuals who have significant Federal and State tax problems; i.e. compliance and/or collection. He also serves as advisor to a number of high-income individuals. Mr. Hoss attends Rock Point Community Church. He is married to the former Patricia Campbell of Athens, Tennessee, and they have one son, Bryan, who is an attorney. They reside in East Brainerd.